The British government is considering nearly doubling the number of troops in Afghanistan, according to reports. Britain's Defence Secretary Gavin Williamson is said to have written to the Prime Minister recommending the increase, although a decision is yet to be made. According to reports, between 400 to 450 soldiers could be sent to the country to join the roughly 600 already deployed in non-combat roles following pressure from Donald Trump. Nato has also reportedly asked Britain to send more troops to the country. The US has increased its presence in Afghanistan since Mr Trump unveiled his South Asia strategy in August last year. Around 4,000 troops are thought to have been added to the 8,400-strong US deployment in the country, to bolster the Kabul government, train Afghan forces and fight the Taliban and other militant groups. The military uplift is intended to prevent a Taliban takeover of the country, target Islamic State and al Qaida. On Thursday, US State Department spokeswoman Heather Nauert said Secretary of State Mike Pompeo had "reinforced our enduring investment in Afghanistan" in a conversation with the country's president Ashraf Ghani. The UK's combat operations ended in 2014 and the remaining personnel are limited to training Afghan forces. It had been thought unlikely that the UK would increase its presence in the country. The reported change in approach is said to come amid concerns over how Mr Trump will approach a coming meeting of Nato leaders. Mrs May is expected to join the president at the summit in Brussels in July. 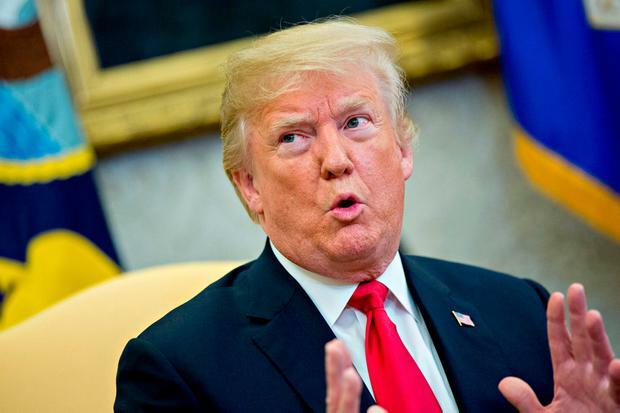 Mr Trump has repeatedly called for Nato members to meet their defence spending commitment of 2% of gross domestic product (GDP) and has threatened to walk away from the organisation if his demands are not met. During a meeting with Mr Trump in Washington on Thursday, Nato general secretary Jens Stoltenberg said all members have increased their spending, in part due to Mr Trump's approach. After the talks Mr Stoltenberg said it is "very important that we all contribute more to our shared security". Earlier UK Defence Minister Tobias Ellwood suggested that the UK should spend as much on defence as it does on the NHS, which is currently around 9.8pc. The US spends around 3.5pc. He told the Daily Telegraph: "The Government often does what people call for. If people call for more money for schools and hospitals, that is often where the money then flows. It is important we raise the profile of the dangers of reducing our defence posture. Once you lose it, you will never get it back." By Samy Magdy, Associated Press Egyptians are being asked to vote on constitutional amendments that would allow President Abdel-Fattah el-Sissi to stay in power until 2030. By Associated Press Reporters Paranormal investigator Lorraine Warren, whose decades of ghost-hunting with her late husband Ed inspired horror films like The Conjuring and The Amityville Horror, has died aged 92. Fear of flying: can Boeing bounce back? 'OH my God. This is the end of my presidency.